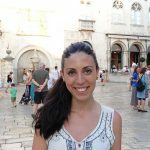 If you are planning a trip to Stockholm (also known as the Venice of the North) chances are that you’ve heard something about Gamla Stan. As it happens with some of the most popular cities in Europe, Stockholm has a beautiful Old Town that will most certainly leave you in awe. However, this particular Old Town (Gamla Stan being its Swedish name) has a unique feature: it is spread out through 3 different small islets – Stadsholmen, Riddarholmen and Helgeandsholmen. 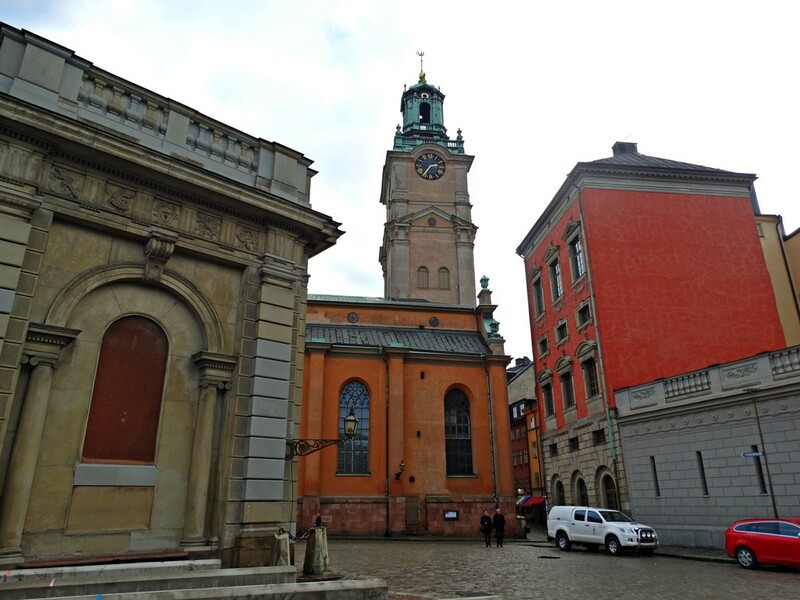 Back in 1252, this is the place where the city of Stockholm was founded and it remains, to this date, one of the largest and best preserved city centers in all of Europe. We have no doubt you will fall in love with all the Gamla Stan sights, as we did back in October 2017, and we want to help you make the most of your time there! Be aware: this is the city’s historical core and you will most likely feel like spending hours just sitting there! Located in the biggest island (Stadsholmen) this beautiful square is the traditional postcard picture of Stockholm. Even after having seen it several times portrayed in photos and paintings, we still felt the colours and the atmosphere were amazingly different from what we expected! 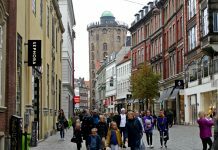 It is one of the most beautiful places in the city and it has multiple interesting attractions to match, such as the Nobelbiblioteket (Nobel Library) and the Nobelmuseet (Nobel Museum), just to name a few. 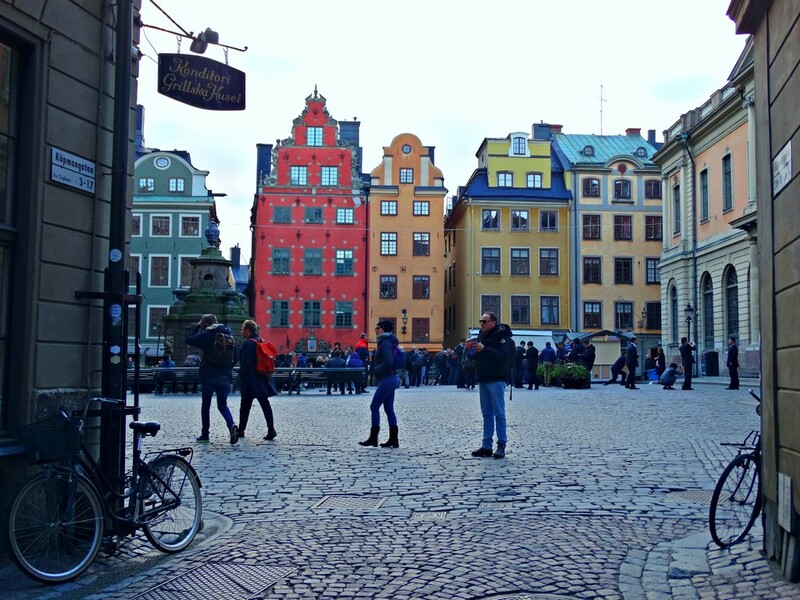 A 2-minute walk from the most acclaimed square in all of Sweden will take you to one of the most important Gamla Stan sights when it comes to the religious spectrum. Also known as Storkyrkan or Church of St. Nicholas, this spectacular church is the oldest in the Old Town and it’s also where you’ll find some very relevant historical treasures hidden behind its lively orange façade, such as the Saint George and the Dragon Statue (Notke) or the Vädersolstavlan painting – both considered true Swedish relics. 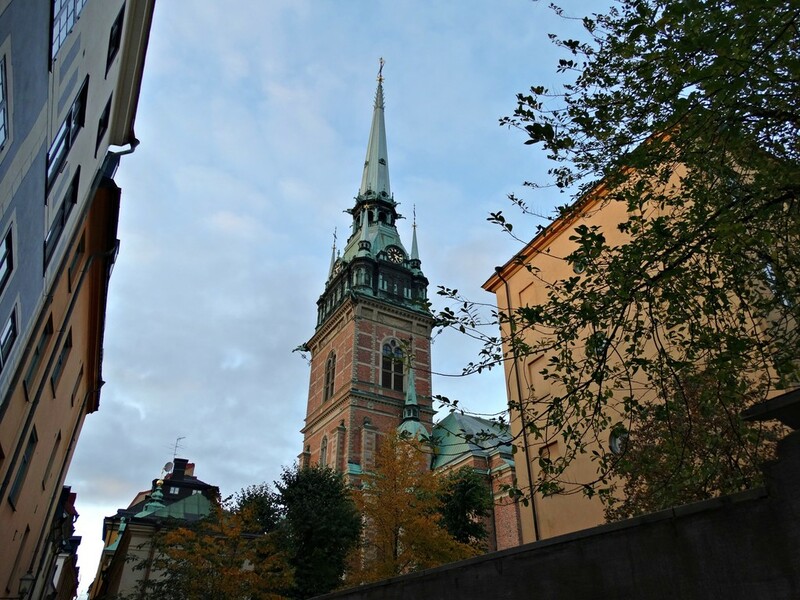 Dedicated to St. Gertrude, the Tyska Kyrkan is one of the most recognizable attractions among all of the Gamla Stan sights. Even though it is hard to contemplate (and to photograph), since it is somewhat tangled in-between the area’s intricate network of lovely little streets, it is nevertheless an unmissable landmark as its tower spires dominates Stockholm’s skyline from afar. Finished in 1571, this is yet another amazing church that will make you travel through the ages. If you, dear reader, like me, are a citizen of a democratic Republic, then chances are you have some kind of weird curiosity towards monarchies (am I alone in this?). Well, turns out being in Sweden is the perfect chance for some political investigation about these regimes! However, whether you are a monarchy supporter, a republican, or just plain indifferent to either option, this palace is worthy of your visit! 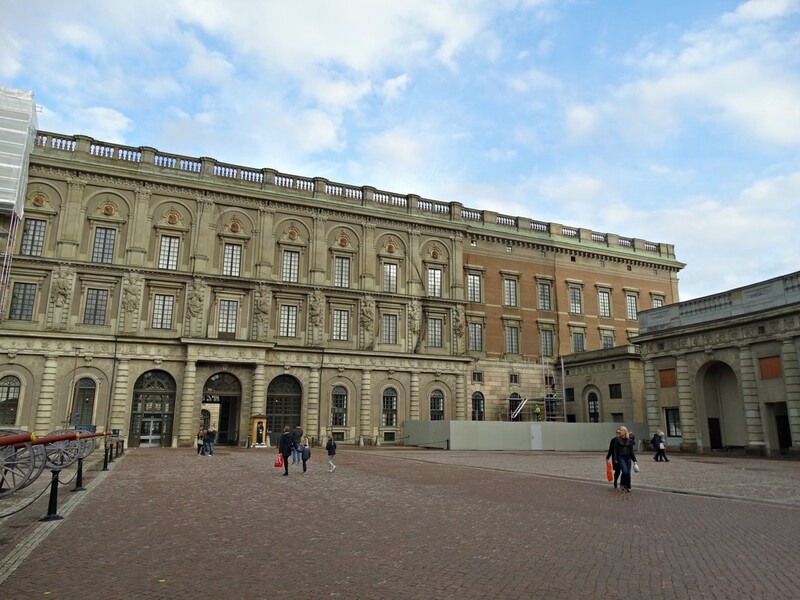 Not only it is one of the largest palaces in Europe (and the official residence of His Majesty The King of Sweden) but it is also a jaw-dropping sight built in baroque style with more than 600 rooms (just the basics, right?). Time to learn some Swedish: the Parliament House (also known as Riksdagshuset) is the seat of the Sweden Parliament (also known as Riksdag)… So we’re guessing huset means house, right? Living and learning! Who said travelling is a waste of time?? Jokes aside, in order to visit such beautiful building you will leave the island of Stadsholmen and enter Helgeandsholmen. This was one of my personal favourite walks and this area is the perfect example of why Stockholm is considered Venice of the North, with the canals and the gorgeous Norrbro Bridge. 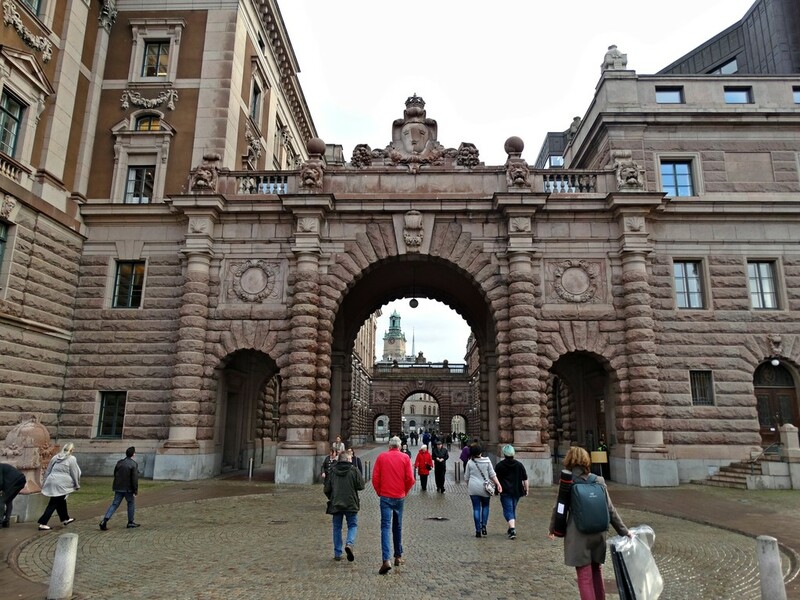 If you read this post carefully, then by now you must know that this list of Gamla Stan sights could never be complete without a visit to all 3 islands. 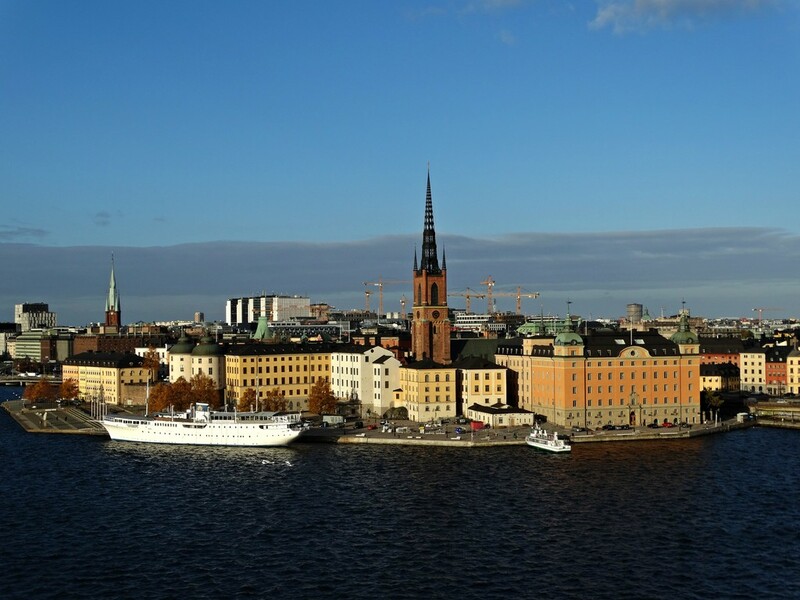 One of the most iconic images of Stockholm is that of the Riddarholmen – an adorable island filled with picturesque palaces and one big magnificent church. 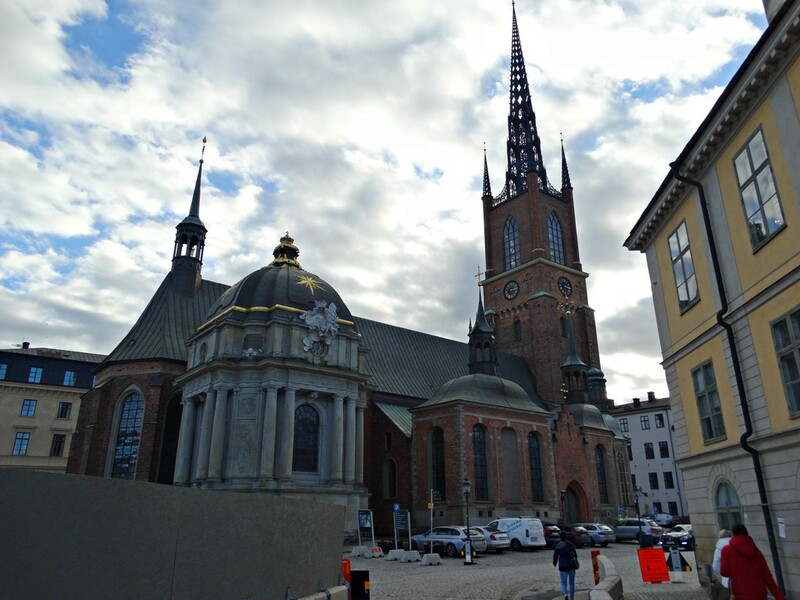 Speaking of which, don’t forget to pay a visit to the Riddarholm Church, final resting place of Swedish royalty, and yet another beautiful Stockholm landmark. 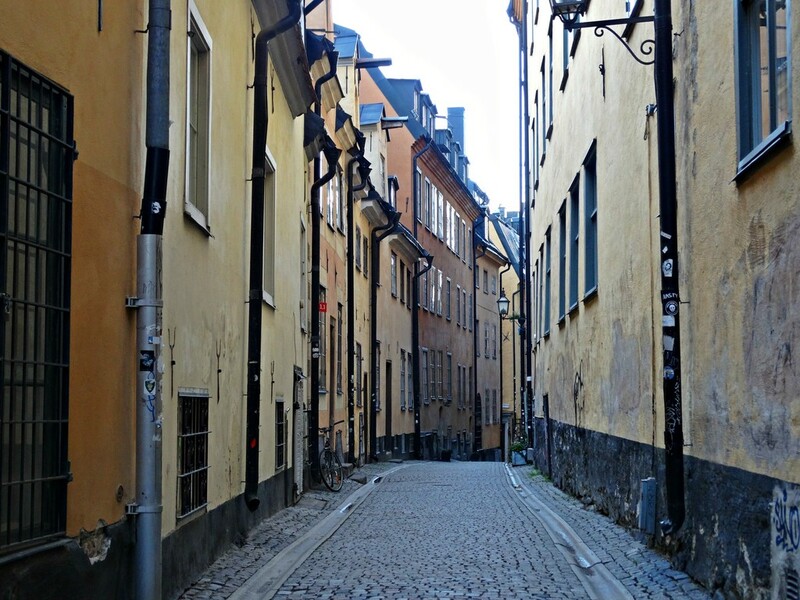 Part of the magic of being in Stockholm and enjoying the Gamla Stan sights is precisely the rustic beauty of all the intricate streets and alleys coloured in all tons of orange, yellow and red. When thinking of visiting such a powerful and evolved nation, I admit I expected a frantic city and modern architecture everywhere. 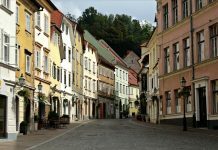 What I got instead, was a fairytale experience in an adorable country that welcomed us with open arms. Even though this is not officially part of Gamla Stan, this 500-meter long walking path could not be excluded from our list! After all, this is the place that offers you the best views over the Old Town, especially over the Riddarholmen Island. If you are visiting during winter time, make sure to be extra careful with the slippery floors of Monteliusvagen. Take your time, enjoy the experience and stay for the sunset – with such views you are bound to love it! And that’s it! 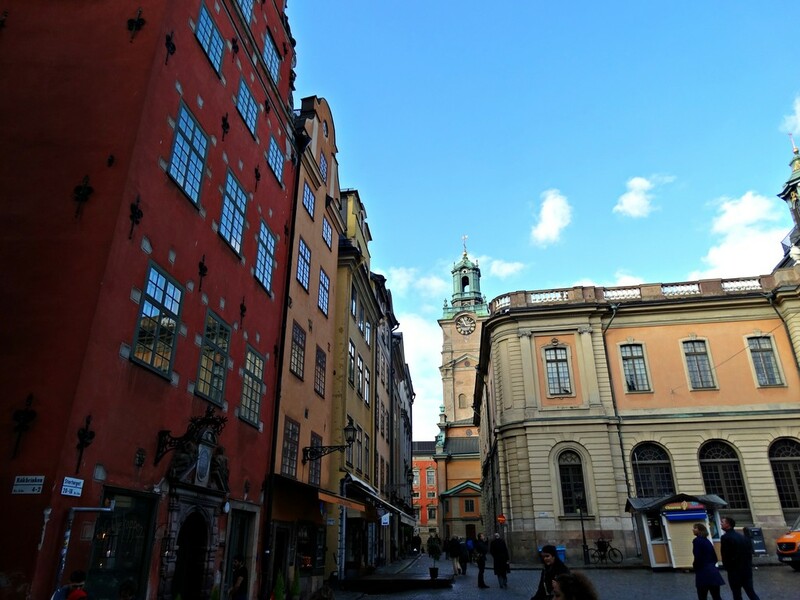 Our list of recommendations for you to enjoy the best Gamla Stan sights in Stockholm! What is your favourite entry? Are you planning a trip to Sweden anytime soon? Let us know on the comments below!